The AAA Five Diamond Award is the best of the best in hospitality but did you know there’s a ‘Best Of’ even among Five Diamond properties? To give you a better idea of what the award represents, of the 27,000 properties evaluated, just 108 receive a Five Diamond rating; based on the opinions inspectors who anonymously rate over 300 key points and features during their stay. Velas Resort, the details make all the difference. 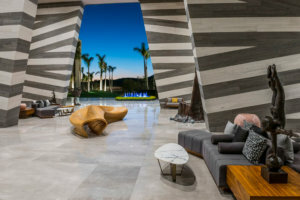 Upon entering the lobby, which has a remarkable number of original art pieces by Mexican artists on display, Grand Velas undeniably begins to allude to the depth of its passion; passion for Mexico, for service and for surprise. The element of surprise comes in details that are as subtle as they are unforgettable, such as a Personal Concierge asking if any guests in your party have food restrictions or food preferences, and consequently provides an appropriate selection of refreshments in the suite – which, by the way, will be a dreamlike experience in rest and relaxation, as are all suites at the resort. As for cuisine, the culinary journey leaves no room for doubt, as we are met by some of the most outstanding restaurants in Mexico. The surprise is accentuated by the fact that it is an All-Inclusive resort. Recipient of two Michelin Stars, Dutch Chef Sidney Schutte embodies the innovation of Holland that is so talked about in epicurean circles, transmitting it to his ten-course tasting menus at Cocina de Autor. 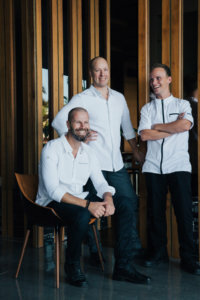 Four restaurants serving Mexican, French, Italian and fine steak and seafood specialties form part of the gourmet lineup, along with a cevichería, an all-day restaurant, café, five bars and an aqua bar; all creating the most luxurious gourmet interlude in Los Cabos. 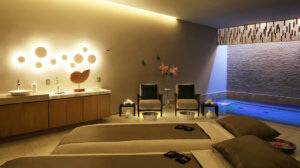 SE Spa easily becomes one of guests’ favorite parts of their stay, with a hydrotherapy circuit aptly called a Water Ceremony, offering seven phases that combine various water temperatures and pressures to prepare body, mind and spirit to receive the benefits of your selected treatment (we recommend taking a look at the rituals inspired by ancient healing techniques). 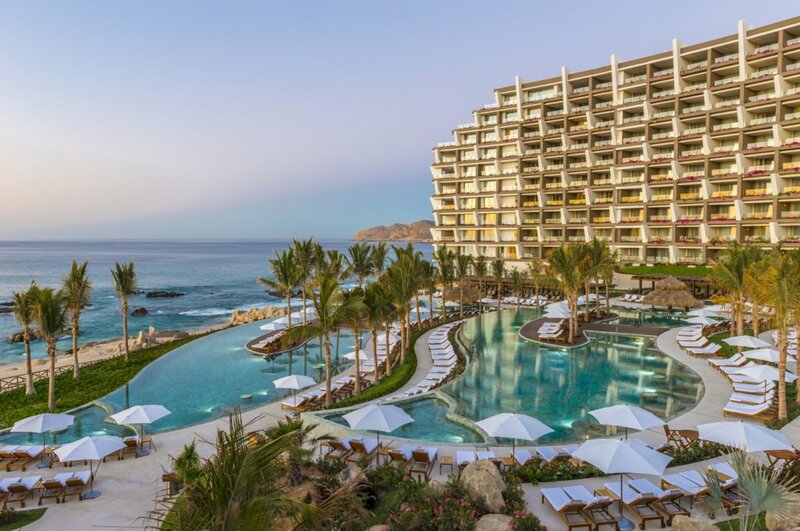 But aside from the many delightful astonishments and surprises, one thing is for sure when you visit Grand Velas Los Cabos – it is a place you won’t soon forget.